At a time when negotiators from around the world gather in Paris to finalize an international “climate change” agreement, activists and political ideologues are using every possible opportunity to scare people into believing that the very existence of life on our planet is at stake. Whether one views man-made climate change as real or not, and if so, whether mankind can do much about it, the fact is that the climate change talks in Paris have little to do with providing real solutions to environmental issues. Thus, many climate activists and political ideologues are, in actuality, more interested in “wealth transfer” rather than working out a real solution to the issue of climate change to the extent that it exits. They continue along with like-minded media “reporters,” to further propagate an apocalyptic narrative which is nothing more than a canard. 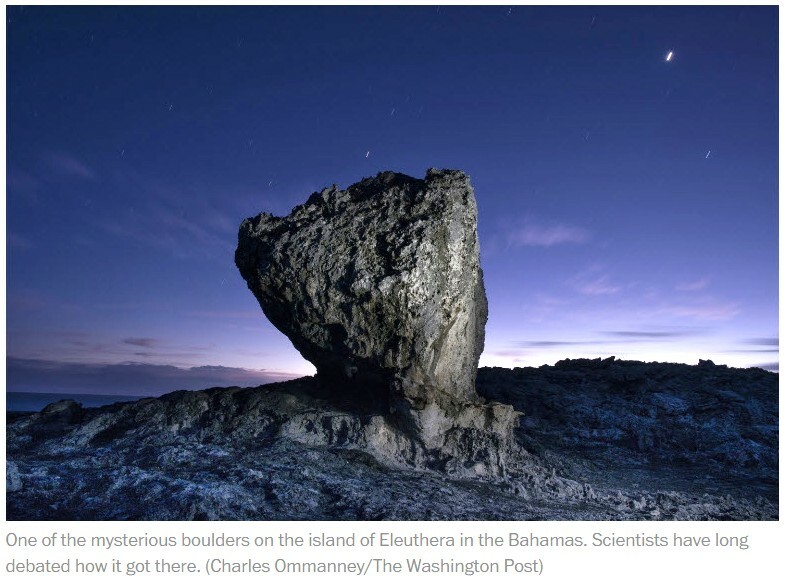 Take, for example, the recent Washington Post article , “Another danger of climate change: Giant flying boulders?,” where the reporter describes a “theory” formulated by the “father of global warming” that a mysterious boulder in the Bahamas was caused by a period of global warming in the past (when, by the way, there was no chance that mankind could have caused it). 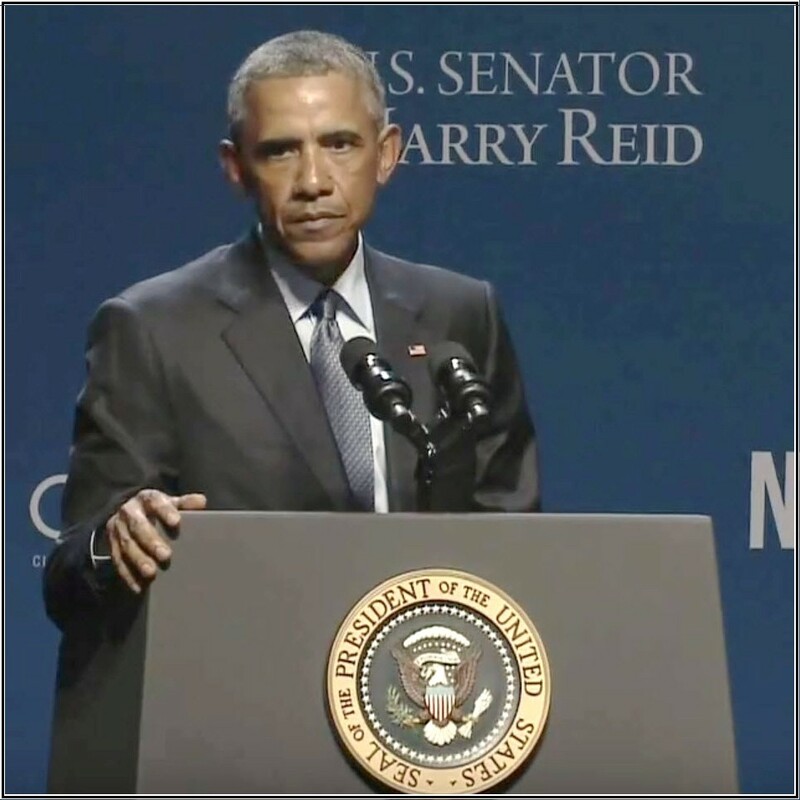 If that were not enough, some politicians, including the President of the United States, have inferred that climate change causes terrorism  and that “next week’s climate change summit in Paris will be a ‘powerful rebuke’ to terrorists ,” as if the terrorists care about the issue of climate change. In my previous article  from December 1, 2015, I mentioned that utility smart meters are effectively “guilt meters” where governments and colluding organizations are trying to coax consumers into cutting back on using “too much” energy. They promote policies and investments that blame the consumer for wasting energy and at the same time prolong continued wasteful investments in low-tech solutions such as smart meters, weatherization programs, and subsidies for existing energy sources (that will never have a significant impact on the reduction of carbon emissions). We have demonstrated over and over again that there are no net consumer benefits from smart meter deployments. Once this is realized by the public, the last fallback position of technocrats and climate activists who support smart meters is to appeal to your sense of moral values and political inclinations to “save the planet.” This strategy negates their need to justify the forced installation of smart meters based upon any rational or business case analysis. 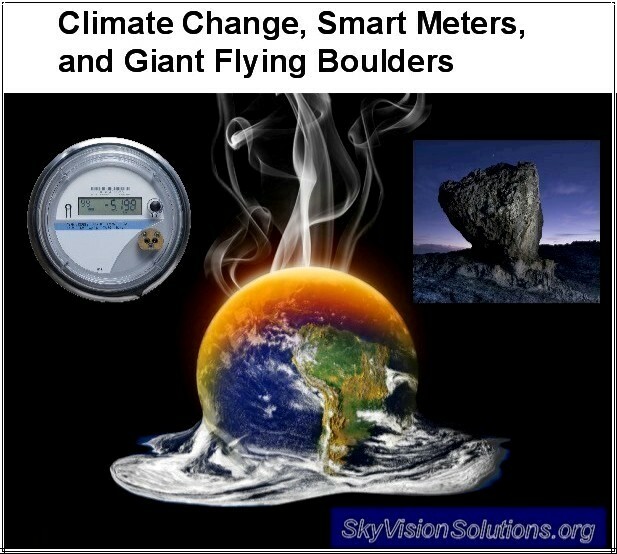 It is my hope that the American people (and those from other countries as well) will not fall for the false narrative of somehow relating the climate change issue (or the Paris talks) to such things as smart meters and giant flying boulders. This entry was posted in Smart Grid, Smart Meters, and RF Emissions and tagged Climate Change, Costs, Government Waste, Smart Meters, Sustainability. Bookmark the permalink. Western countries are using aid to Africa as a smokescreen to hide the “sustained looting” of the continent as it loses nearly $60bn a year through tax evasion, climate change mitigation, and the flight of profits earned by foreign multinational companies, a group of NGOs has claimed. I am just overwhelmed, how can the United States Government allow such an atrocity to take place and on the backs of our future generations, and at the cost of all our health, this is a monster out of control, and if not stopped we will be looking at millions people losing their lives, but then maybe this is what their looking for, I can attest to the hundreds of people in Illinois and in Missouri having serious health issues, and all from these meters and transponders placed on utility poles right outside homes, these devices are spewing huge amounts of radiation, I have personally went around my neighborhood, and tested these transponders AKA small cell-towers, and the RF EMF are out the roof, just like the large cell-towers but in smaller version and right outside your door. Yes we are in a serious crisis, and our Government has given it their full blessing, and even borrowed from China to implement it, which is ironic since it’s China making these devices. I am afraid if the people don’t rise up against this violation against humanity soon, we will all be destroyed, by the powers that be. As a cancer conqueror who is ultra sensitive to frequencies, I swear by this. It itself carries no energy so it can share two 15 amp circuits that are already in use circuits. Do use an electrician, and have him double check that your house wiring is grounded properly, even though installation of this device is very easy once the power is shut off, but hire a pro in order to assure the 25 year warranty terms are met. Of course, one must go hard wired as well, since it also makes absolutely NO SENSE to continue to use ANY wireless device inside or outside any home and yet still expect to protect your health or privacy. This includes shutting off wifi in all newer appliances like fridges, stoves, washer/dryers, and far more per household. So why not use a hard wired modem, get rid of cell phones, and worse still, continuously radiating portable phones. Forget food destruction by microwave ovens,stop harming the vulnerable brains of infants by using baby monitors, toss all of this deadly junk that is chiming in to cause bio-electrical failure of your bodies. Then you will see a DRAMATIC change as your body ad brain begin to recover from the non stop assault. I spent a year searching for this, and I can attest that of all the suppressors out there making claims, this attenuator is the only one that does what it says it does. It is the ultimate smart meter suppressor but it also seems to tackle wireless from elsewhere that couples to energized home wiring. 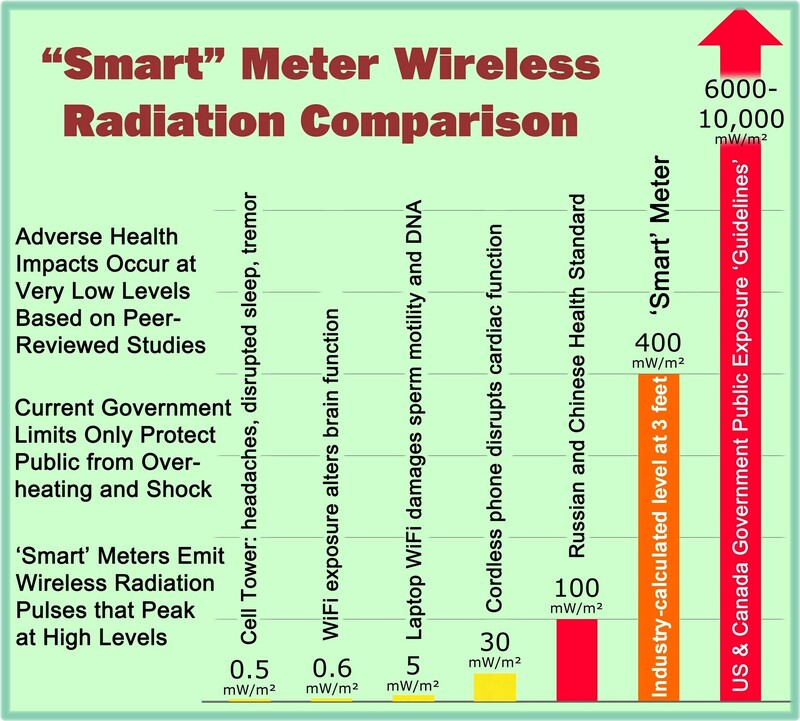 However, it offers much more since it is a sine wave tracking frequency attenuation (neutralization) device which has variable clamping which clamps down on all the pulses and surges introduced into every household by the smart grid, cell towers, collector hubs, range extenders, whether that home has a smart meter on it or not, Radar is radar, it is harming us all. UNite and neutralize as a community. So why not foil this effect caused by “smart” sick making devices installed on some or all homes which forces all of them to operate at the same single damaging anti ecological and anti biological artificial radar frequency which is what causes this total harmonic distortion. It is time to revolt and it is totally legal to install this in your circuit boxes. The perks include that despite its initial price tag cost it quickly pays for itself right away since it lowers “smart” over billing right away and it also puts an immediate end to private data theft by stopping what is yours from being harvested, since there are no longer any pulses and surges to do the harvesting and extraction. Health of course is protected, as well, and best of all, if you go off grid and have the transmission lines severed at the road that removal from the matrix reverses EHS. The frequency neutralizing filter also works for a solar inverter in an off grid system. Electronics are not that difficult to foil. And even wireless prefers energized lines so shut off all but essential circuits in the home if you cannot reduce your own usage dramatically enough to afford to go off grid using solar. Especially never turn on the bedroom circuits. No I do not sell these, but I do have far more biological energy now since one was installed, and I am no spring chicken, either. Here is an article about the US Agency for International Development financing smart grid funding for Pakistan, exemplifying that this is all about money. Its just criminal. Pity that I am one of the 60 million with smart meters. I have no desire to monitor my electricity use, but do have negative health outcomes related to this technology. Shame on the free country we live in, for failing to give consumers a choice and a voice in their technology future, and for placing us under constant surveillance by government and corporations.